Crystal Jade promises an abundance of auspicious, inventive, and delicious takeaway offerings for Chinese New Year that can be easily enjoyed in the comfort of your own home. For 2019, look forward to a bountiful reunion dinner with family and friends with indispensable dishes that make up the Auspicious Reunion Feast Takeaway Bundle ($368.80 for 5 pax / $588.80 for 10 pax). 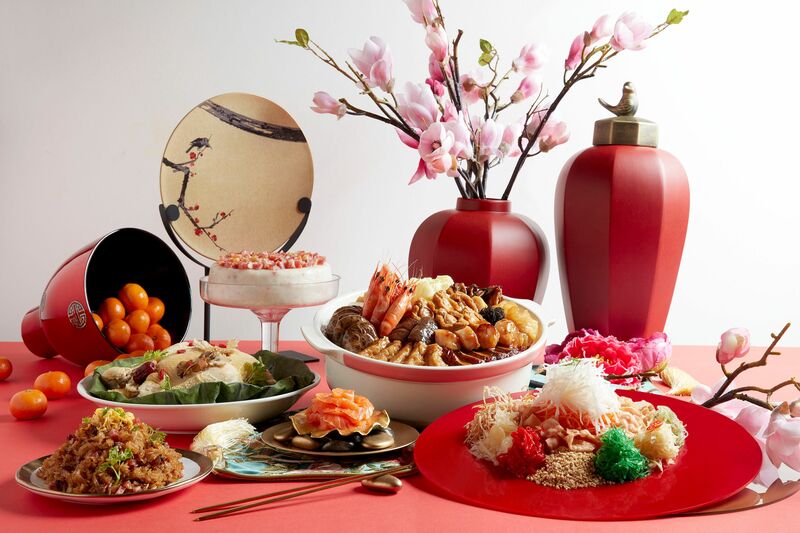 This plentiful set includes various offerings like the Bountiful Abalone Treasure Pot, Norwegian Salmon Reunion Yusheng, Crystal Jade Fortune Chicken, Fried Glutinous Rice with Chinese Sausage, and a choice between sweet Nian Gao or savory Carrot Cake. Components of the Auspicious Reunion Feast Takeaway Bundle can be ordered separately as well and these items include the Bountiful Abalone Treasure Pot ($268.80 for small / $468.80 for large), comprising 18 premium ingredients, or the Norwegian Salmon Reunion Yusheng ($42.80 for small / $68.80 for large). Also available for takeaway is the Eternal Bliss Platter ($38.80), which is a selection of homemade sweet and savory cakes. 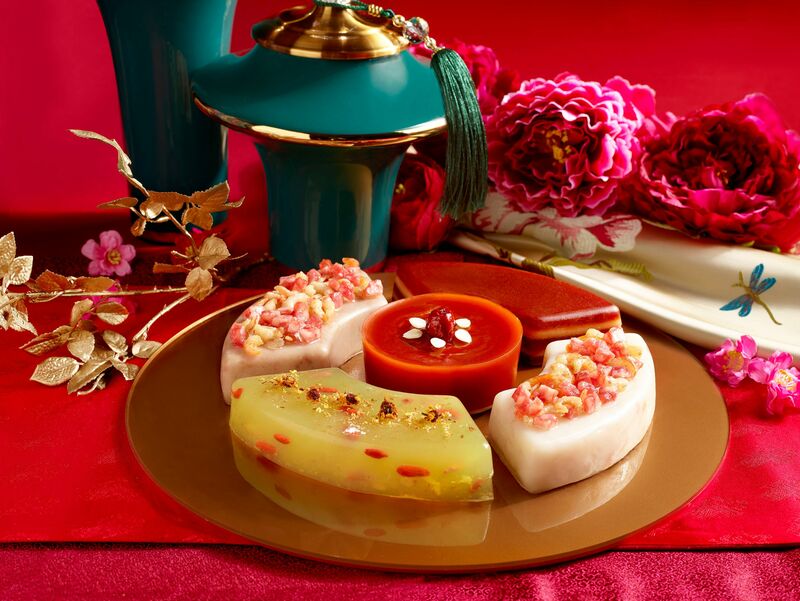 Included here are the Prosperity Carrot Cake, Abundance Yam Cake, Fortune Glutinous Rice Cake, Auspicious Red Dates Coconut Cake, and the Golden Osmanthus Chrysanthemum Cake. An assortment of Crystal Jade’s signature festive cookies and sweets are also on offer and you can choose between the buttery Almond Puff Cookie ($16.80), Lychee Cranberry Cookie ($13.80), the Red Dates Walnut Cookie ($13.80), or the Fortune Bo Lo Pineapple Tarts ($20.80). 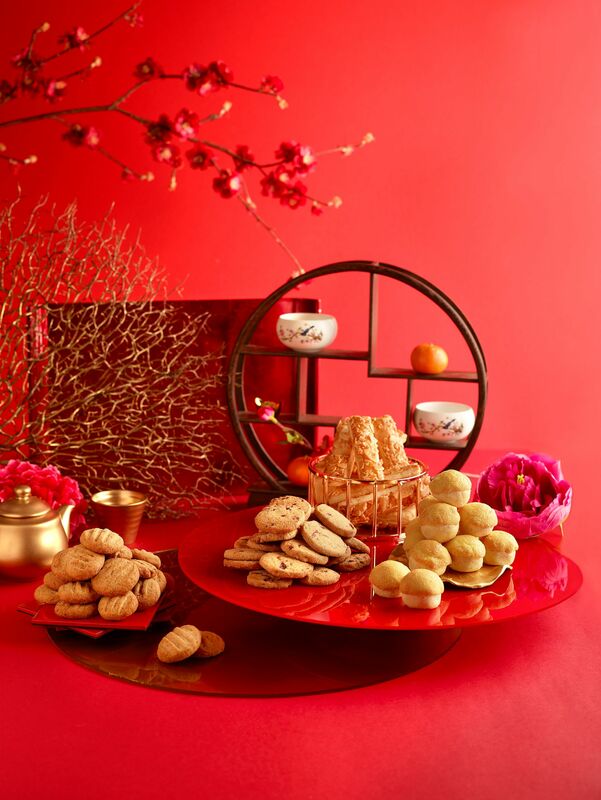 Alternatively, you can also opt for the Happiness Trio Bundle ($38.80), which includes the Lychee Cranberry Cookie, Red Dates Walnut Cookie, and the Fortune Bo Lo Pineapple Tarts. These takeaway specials can be purchased online at estore.crystaljade.com from now until 19 February 2019. Orders can also be made in person at all Crystal Jade restaurants and bakery outlets starting 4 January 2019. Collection can then be made from 21 January to 19 February 2019 at select Crystal Jade outlets.